I sometimes think back with a bit of nostalgia to the years when going to the video store to rent a VHS tape was a big family event. Now, we all use online video distribution platforms to buy, store, share and view video content. Some of the most popular video hosting platforms today use advanced (and very irritating) Digital Rights Management (DRM) solutions, which tie you into their ecosystem. Others might not really care about protecting your content, but usually have useful sharing and analytics features. The question is, when it comes to protecting your intellectual and creative property, can you really afford not to care? Perhaps you’re an independent film maker, or you’re part of a bigger team shooting an Oscar-winning feature film. Which options are available to you for sharing your videos with reviewers, editors, distributors or buyers? There are some great platforms out there, some free (like Vimeo and Youtube) and some every expensive, intended for big enterprises or media organisations. These solutions support a big variety of use cases, from OTT to VOD, from media tycoons and big studio needs to those of small independent content producers. Yet, I’m concerned: the content protection offered by these platforms are not necessarily what you need. Perhaps 10 reviewers are sharing a password-protected link of a sensitive pre-release screener of your movie. What happens if one of them leak that movie? How will you know? How will you prosecute the person responsible for that profit-slashing act of piracy? Now imagine if these great video distribution platforms could be supplemented by an innovative approach to content protection? The Custos Media Protection Platform provides a simple way to protect digital content, without resorting to DRM technologies. It achieves this by imperceptibly marking each copy of a video entrusted to a recipient with a unique, imperceptible watermark that directly identifies the recipient. Earlier this year, we were very proud that we have protected over 100,000 videos without a single leak. The world moves along, and now we can say that we have protected more than 130,000 videos, and recently detected a few leaks and caught a pirate red-handed. The mere fact that a leaked copy can positively identify the recipient who leaked it works as a great deterrent. The team at Custos also constantly scans the public web and dark web for protected content that could be leaked, and cultivates a community of “bounty hunters” that can find pirated content in the hard-to-reach corners of the internet, notifying us of infringements by claiming the cryptocurrency bounties embedded in our patented watermarks. How does this help someone who is using a service like Vimeo or Youtube, or some other video distribution platform like Wistia or Shift.io? At present, two solutions are available for integrating with Custos protection for your VOD distribution. The Custos VOD platform, Screener Copy, is a turnkey solution that provides cloud hosting and distribution, a user management platform, deep analytics, and comes pre-integrated with the Custos protection to ensure your profits. For existing platforms: the Custos API can integrate into existing workflows to add the protection technology before the content is distributed to the end customer. In other words: the Custos platform is built on an easily-integrated API for watermarking the video content, and getting each video registered with a specific cryptocurrency bounty attached. Use the identifier returned from step 2 to request a specific streamable or downloadable copy of the video, uniquely watermarked for a specific recipient. An implied fourth step: sit back and relax, knowing your media is now protected from piracy. On the slim chance it gets leaked, the infringement will be picked up very quickly, and takedown notices can be sent, and action taken against the source of the leak (with a tamper-proof watermark to back up claims). It would be a breeze to integrate this with the existing workflow of a video distribution platform, or even of your in-house video processing tool. 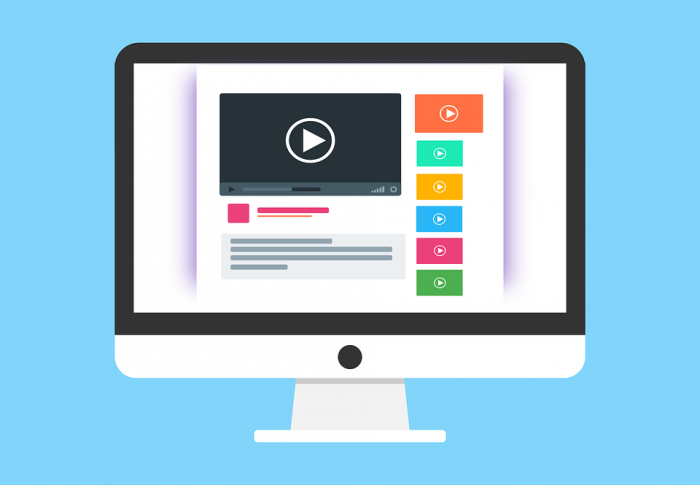 In this way, many video distribution products, each with their specific use cases and niches, can still focus on what they are good at, and in a clean and easy way, supplement their offering with proper content protection. And the creatives who pour blood, sweat, and tears to create awesome videos can have a wider choice of video distribution options, knowing that they all share a great content protection solution, championed by the team at Custos. This post was originally published on Medium by our CTO, Herman Lintvelt.